Every shooter needs something to shoot at but in Band of Defenders enemies are much more than targets. They are threat that is trying to destroy remnants of human civilization. Specifically they are targeting important structures that your Band of Defenders is trying to protect. From the start we knew that enemies have to be interesting, dangerous and very diverse. So each one has his own strenghts and weaknesses, his role in battle. 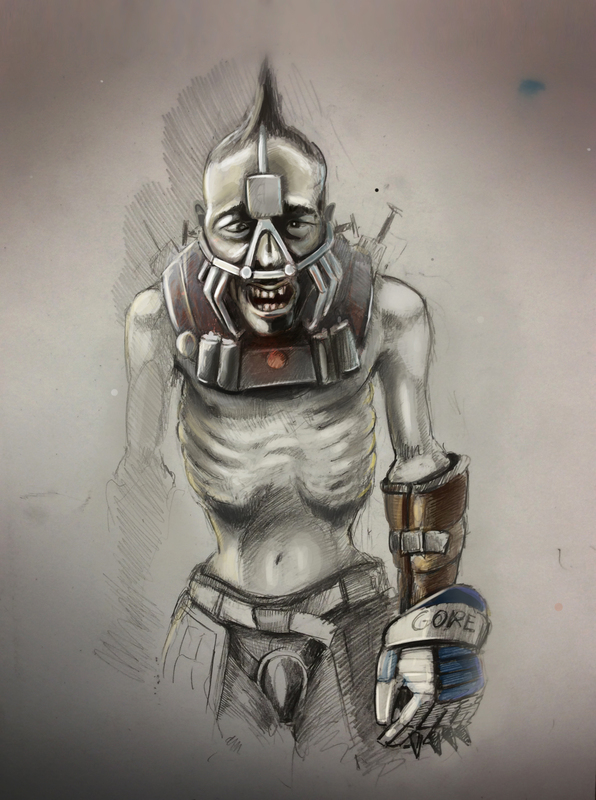 We took inspiration from popular post-apocalyptic worlds – Mad Max and Fallout. We wanted two distinctive groups of enemies with very different combat capabilites. We call them „Bandits“ and „Mutants“ but in our lore they are known as „Unblessed“ (because they weren’t blessed by mutations) and „Better-ones“ (well, because they are better, or at least stronger and more dominant). These groups cooperate with Bandits being more of a slaves than equal partners to the Mutants. That’s why Bandits look like caricature of a human beings – they can carry huge explosives on their hunched back or be chained like slaves. There isn’t job enough inferior or dangerous that Bandits can’t do it. Mutants on the other hand are strong, big, muscular and important. They are tough (and green) and each one of them is very dangerous. Slave-like status of Bandits makes them expendable. They usually act as a frontline cannon fodder – be it basic melee enemy, suicide bomber or „engineer“ that sabotages your turrets. It doesn’t mean that they are not dangerous! They just fullfill ungrateful role on the battlefield and their life expentancy isn’t very high. 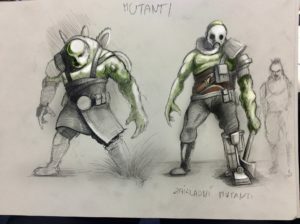 Mutants are much more durable than Bandits but they often also act more carefully – they can shoot at you from distance or even launch artillery strikes from far away and when they approach your base, they can use big melee weapons to destroy your fortifications in a blink of an eye. Lets put off theory now and look at our first enemy – we call him „Bandit Trash“ because he is the weakest enemy you will encounter. 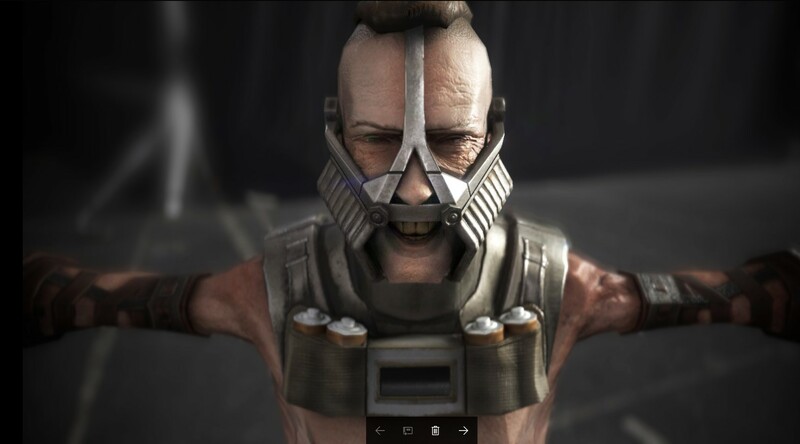 This handsome man with huge iron shackles on his body will be one of the most common enemies you will meet. He will try to punch you or your defensive structures to pieces but thanks to his low damage, low HP and non-existent armor you won’t have much trouble dealing with him. But it is his purpose – give time to bigger threats to come near your defenses and crush them with huge melee weapons, rocket launchers and bombs.